My precious 14 year old toy poodle Muffin Bordeaux, went blind almost three years ago due to cataracts. I was devastated, since he kept bumping into walls and fell down the stairs. He became very depressed and was afraid to move around. I could not let him out of my sight and carried him around everywhere. I searched the internet extensively for solutions/assistance. 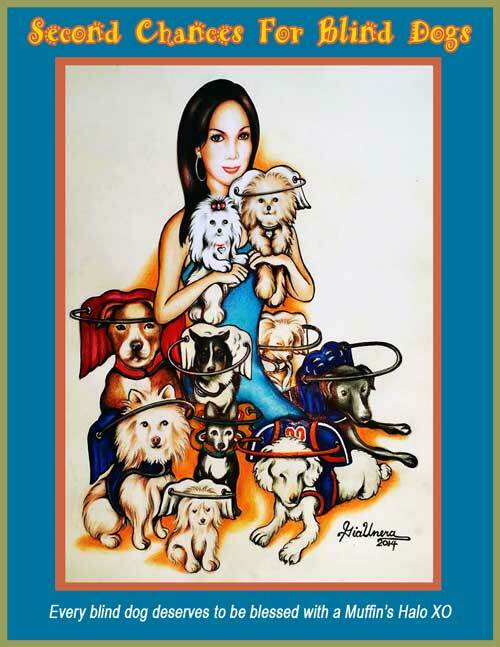 That was when I realized that there is a great need for products to assist blind dogs, so I invented this device, “Muffin’s Halo Guide For Blind Dogs ® ” that has changed his life, as well as mine. Muffin now knows his home again and can travel with me to any hotel or friend’s house and gets to familiarize any new surrounding, quickly. He just loves this aid and is back to his peppy confident self! Muffin also loves all the attention he gets when I take him on walks, as he looks like a little angel. Most importantly, I can leave him at home for hours and know that he is safe. While I was inventing this product, we discovered Muffin had a mass in his stomach. I consulted with multiple vets, changed his diet, and gave him daily iron supplements and medicine, hoping to reduce the mass. As a result, he was doing well and was more energetic. During a follow up appointment to check on his mass, a certain Vet lacerated him internally by mistake, leaving Muffin dying on the operation table. Muffin had to have excessive amounts of blood transfusions and emergency surgery that cost me an excessive amount of money, but most importantly, great emotional distress. The Vet told me I had to prepare for the worse and that Muffin would probably not make it through the night (I still cry when I think about that day.) They feared his main artery was cut and that he could not survive this type of injury. I was petrified, devastated and in total disbelief. As Muffin (who recently went blind and was traumatized in the Emergency Room with complete strangers) was in critical care fighting for his life, I was on my knees sobbing all night. I was surrounded by his bed, toys and clothes and pleaded to God to please save my precious dog and give us a “Second Chance.” I promised in return, upon his recovery, Muffin and I would be of service and dedicate our lives to helping blind dogs. for the dogs and their owners, as I have a great solution to help this transition. My life’s purpose now is to help as many blind dogs as possible. 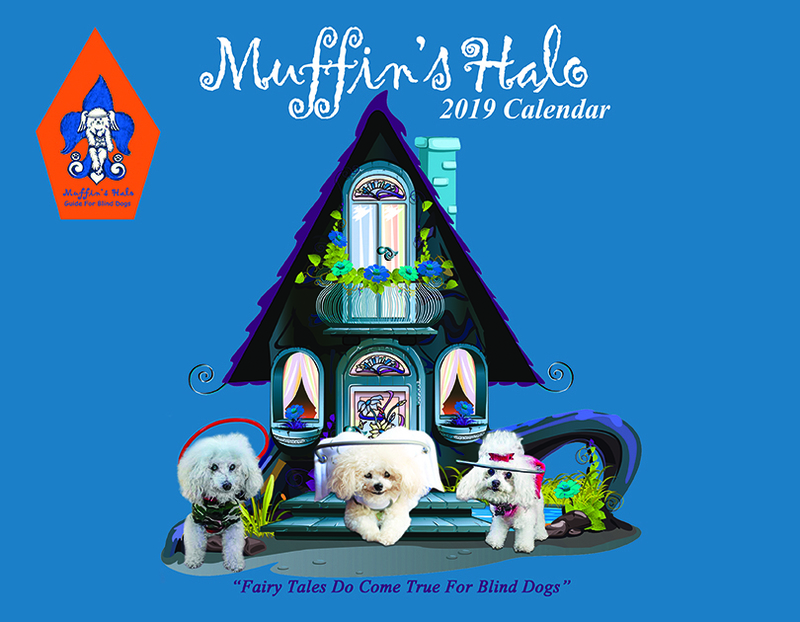 My dream is for all blind dogs in shelters/rescues to be wearing Muffin’s Halos to help them navigate themselves into their furever homes quickly and take the stigma of blindness away.